What a long weekend in Verona I had. All the pizza and pasta I could dream of with all the espressos and cappucinos - not after morning though, after all, thou shalt only drink milk in the morning in Italy This was the weekend. 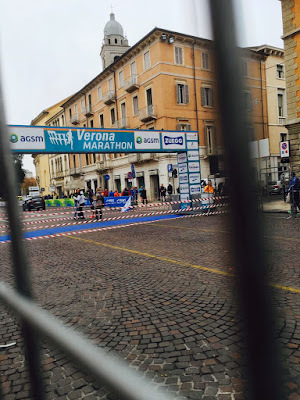 The weekend of Verona Marathon. Training was far from the plan I followed for Hamburg. With Hamburg, I followed a 16 weeks-plan to the book. My plan varied from running sessions to HIIT, a dabble in Crossfit and a dabble in weight lifting sessions. For Verona, whilst I started off with a plan, I stopped sticking to it in the early stages. I'll be writing a post on what I did during my plan, so do look out for it. The day of the race began like any other race; hitting snooze on the alarm clock several times. Breakfast didn't start right - some of the food for the race that I had packed in my hand luggage had disappeared between the airport security checks and our apartment! What I was going to eat was my usual pre-race breakfast: sliced bananas on peanut butter on toast. 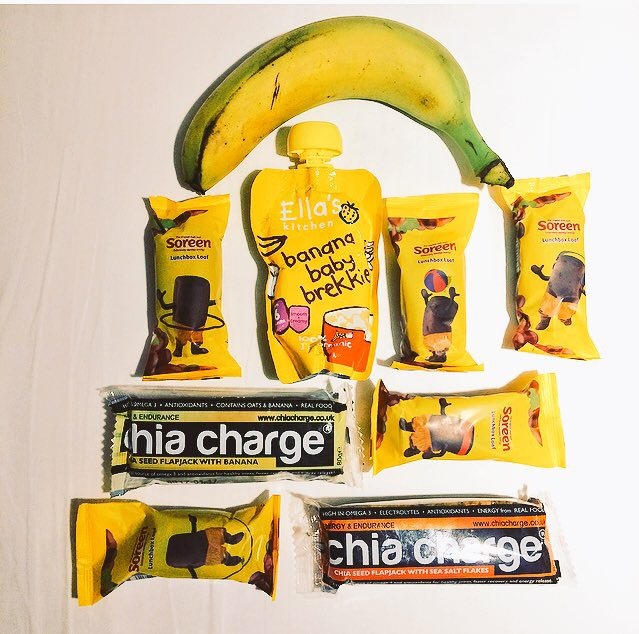 What I ended up eating was a Chia Charge bar and a banana covered in peanut butter. Still so good! It turns out Verona is a small city. 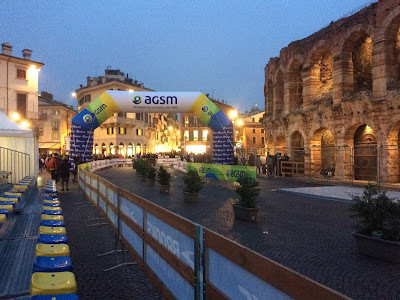 The apartment we stayed in was a 10 minute walk to Verona Arena in the city centre, which is where the race start was and where the expo had been held. The expo was much better than the one at Hamburg. Verona's expo was a combination of stands promoting races, stands selling sportswear but also a food market - albeit a little overpriced. It was there I found a brand that ships internationally pistachio nut butter and the creamiest, nuttiest and chocolatey nut butters. We also found a stall that sold liquorice. 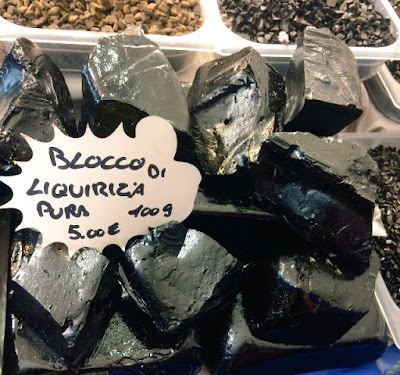 Huge, shiny, smooth black blocks of the stuff. You know what I like about liquorice? It's got anise flavour. The city had been really quiet and empty the first few days we were in Verona, which gave me the impression it was going to be a small low key race from the start. Friday evening besides the occasional road sign saying certain roads would be closed for the marathon, there was no other hint of a marathon quickly approaching. Come Sunday morning, the city was buzzing with crowds and crowds of people. 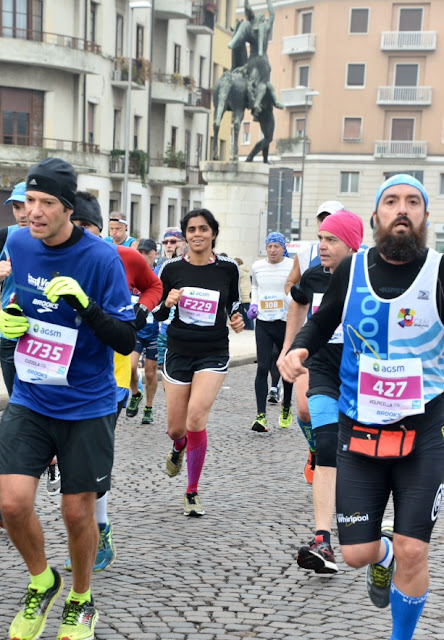 Unlike Hamburg, where you really felt a large mixture of Germans and non-Germans participating, there were barely any non-Italians throughout Verona marathon. I saw only one other Brit and an American (our bibs stated our countries) in the race. The marathon organisers must have been working late into the night, the night before, because by Sunday, all the banners were up and the starting line was all set. It really felt that the marathon had come to the city. For the bag drop, they had hired lots of trucks and opened them up, categorising each truck according to bib numbers. It was very efficient and in terms of clearing up the city after the race, it must have been easier for the organisers. 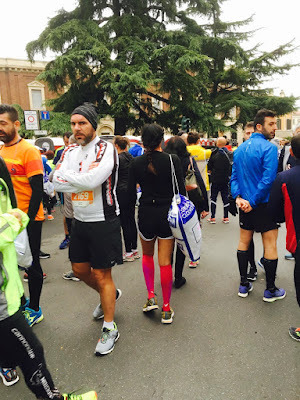 We got to the start line quite early, so I spent it pacing-warming up -wondering how long to go until start-repeat. I was really surprised at how much I wasn't nervous. 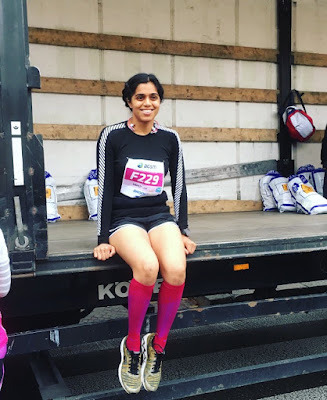 With Hamburg, the nerves had hit me in the few days before the race and race day had got worse with anxiety and nerves. I had a time in mind for Verona, but honestly I wasn't sure I could achieve it. I knew I could achieve a sub-4 but I wasn't sure by how much given my slightly odd training. I felt so much better on this morning compared to the morning of Hamburg. I was ready to go. All in all, I felt really good. And then the whistle blew for my start pen. The plan was to run negative splits (isn't it for everyone!?). 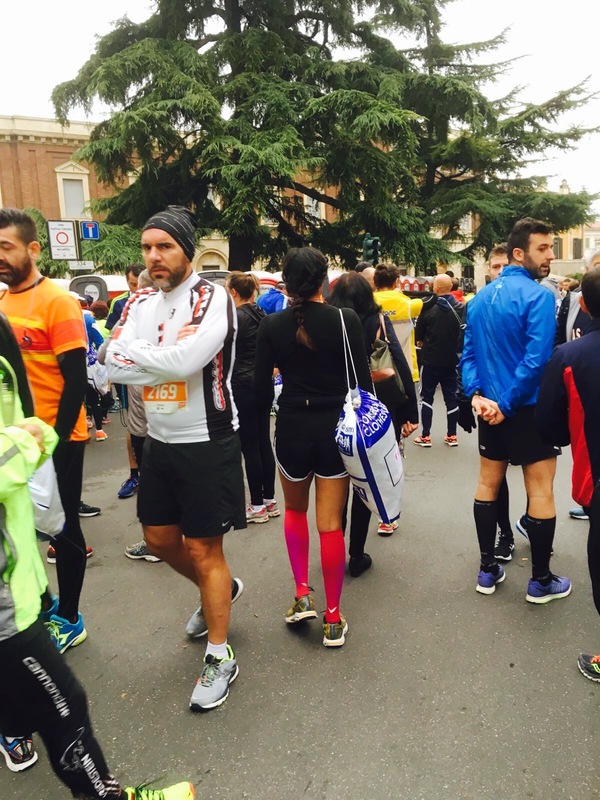 We ran through the city centre, from Piazza Brar, passing through Corso Porta Nouva, CastelVecchio and Ponte della Vittoria to name a few landmarks. Up until 26kmish, I was running very comfortably with the 3hr40 pacer. There were moments I wanted to run past but I didn't think it was the right time. The surfaces varied a lot throughout the course. They ranged between cobbled surfacing (which significantly increased in the last few kms), flat concrete surfaces, flat tarmac surfaces and slightly undulating surfaces. The cobbled surfaces felt uncomfortable to run especially on the last few kms but otherwise it wasn't too bad. Where there were hills, they were usually on sharp turns and they weren't steep, thankfully! Up until Sunday, the weather had been around 12 degrees but it had felt a lot colder on those days. Weirdly enough, on Sunday, it was a lot warmer so I rocked shorts, long-sleeved top and compression socks. My flip belt came in handy with carrying all my running fuel. Thinking about it now, I should have worn a t-shirt instead of the long-sleeved as there were a lot of moments when I was quite warm. Most other racers were dressed for freezing weather and I do wonder whether they got hot. The fuel stations were set up well. Water was well stocked - I think I'm going to have to learn to drink out of cups rather than bottles for all marathons. Fuel stations significantly slow me down with drinking from cups and that is something I am going to have to work on. The fuel stations supplied raisins, bananas, cake, chocolate and gels. Tea was also served. I didn't try it during the run, but they were offering us tea afterwards to refuel. I have no idea what it was because it didn't taste like normal tea. It had a lovely sweet taste to it and after the race, I downed quite a lot! The spectators were in their masses at the start of the race but it was disappointing to not see many after the first few kms. There were certain points of the course where there were lots of spectators, but most of the time there were no spectators. Things only picked up when we were running back in the city centre towards the end. I loved the last 3 kms of the course. The spectators roared and they were in their masses again. What was interesting was that the course included sections where we running alongside pedestrians. Cars crossed our route occasionally and unless there was a main road, most roads weren't closed off and there weren't many barriers for pedestrians. We even ran through an open street market. But the views were beautiful. We ran a lot of the course out of the city and in countryside areas with the mist surrounding us. Let's quickly talk about my stats, I achieved 3hours 46. 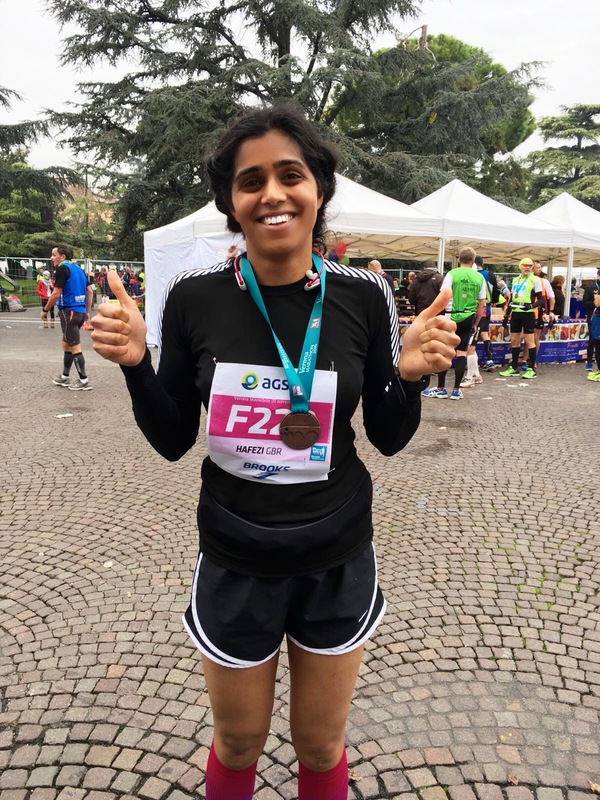 I played it very safely and quite honestly, given the energy I still felt after the marathon, I could have run it a lot faster. I never knew when the time was right. Any tips on how I can improve on that? 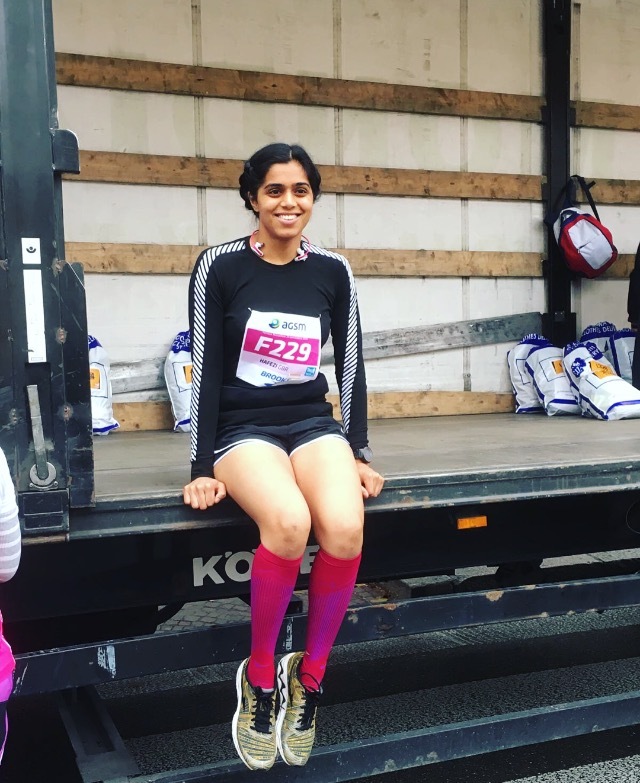 My results meant that I finished in the top 40% of finishers overall and placed 20th overall in the women's category; one thing I learnt about reading my results is that SF stands for Senior Female. Where there is a number after SF, it refers to age. I have to thank The Running Works for informing me about that on Twitter. My results aren't bad. Statistically, putting them into context, if this was a larger-scale marathon then I would have placed a lot lower. If my maths is correct, what the above racer stats show is that only 13% of the participants were women. Just 13%. 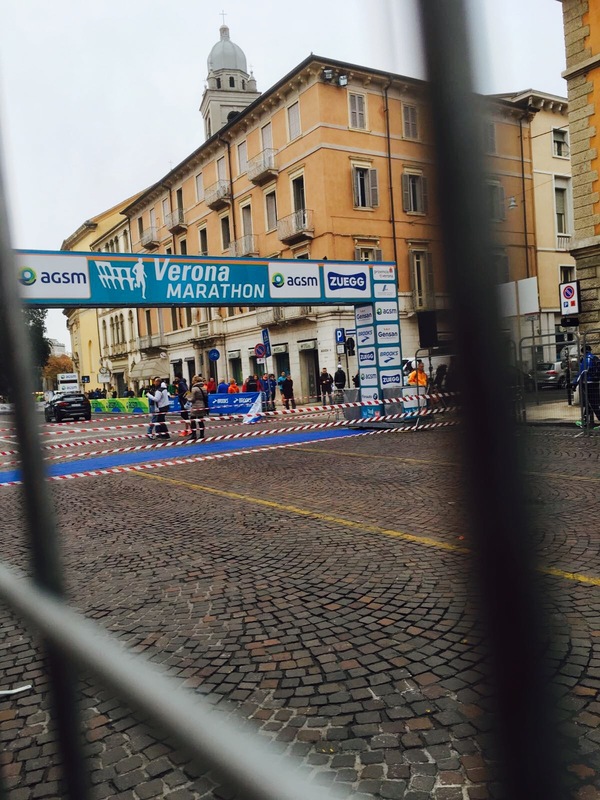 In effect, what this means is that if you are a woman and wanting to achieve a high placing, Verona marathon is really one to try. I would love to see that number for female runners increase next year. Some surreal moments. It was so strange to see them clearing up after the runners, whilst we ran. After I had finished, we went to the market I had ran through and the whole area looked as if there had never been a marathon. By evening, the city was empty again. Very few marathon road signs were up. 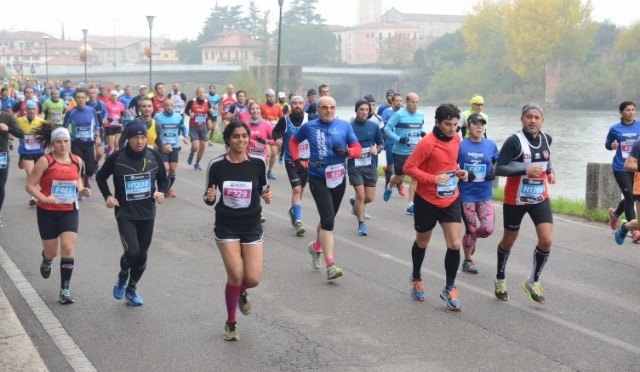 The only place where there was some semblance of a race having taken place was the Piazza Brar, where the expo was still on and the start and finishing lines were still up. By evening, Verona was empty again. 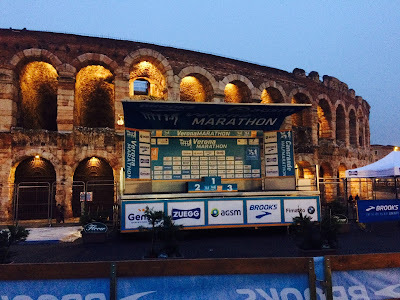 The Italian runners had disappeared and we had the city to ourselves. 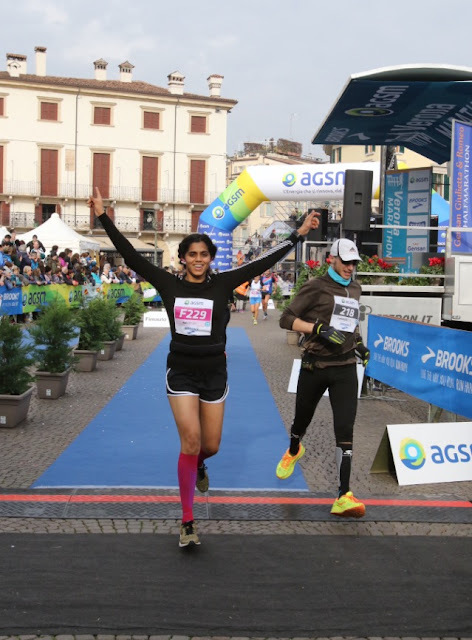 All in all, Verona Marathon left me with a feel-good factor. 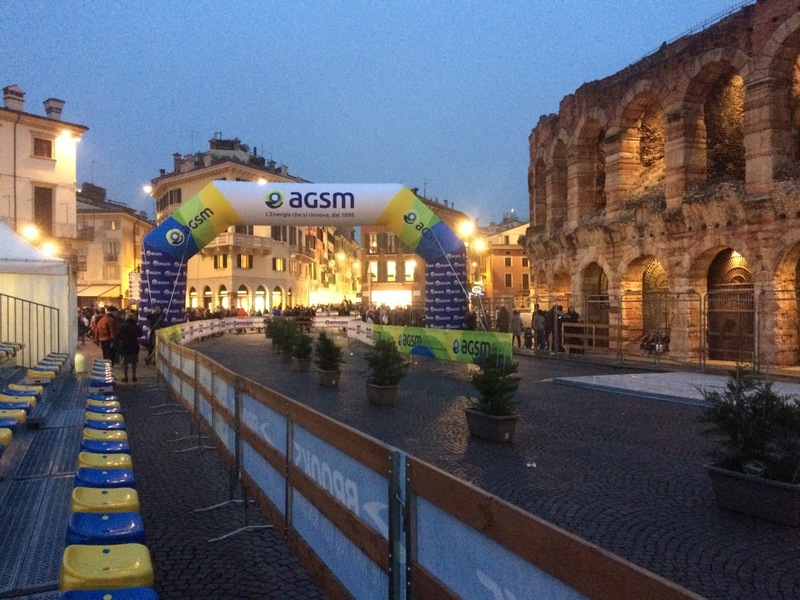 If you are looking for a fast or first marathon, then do consider this city set in the old world city of Verona. As I say for any overseas event, use it as an excuse to go on holiday. The beauty of Verona Marathon is that you are in the land of the home of pasta and pizza. Ya know...pasta for carb-loading, pizza for that post marathon celebration. It's a perfect excuse. Why would you say no?